Most people have experienced a headache at some point in their life, and for some it can be a daily experience. It might feel like pressure, throbbing, stabbing, or piercing. It might be in your temples, may be behind your eye or it could feel like your head is in a vice. The pain may range from mild to very intense. Perhaps it is no more than a small nuisance, or perhaps it affects your ability to concentrate at work, interact with loved ones, or do the things you love to do. 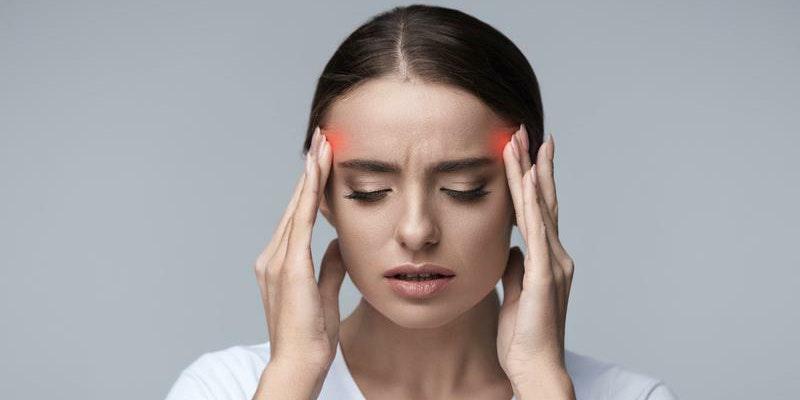 There are many causes of headaches, ranging from very serious to the not so serious after-effects of a fun night out. Here we are going to concentrate on headaches that may benefit from physical therapy, namely, chronic tension headaches. Tension headaches are pain in your head that comes as a result of tension in the muscles or joints of the jaw, neck or upper shoulders. These headaches are usually precipitated by stress, prolonged poor postures, or both. When we sit in poor postures for extended periods of time there is a tendency to build muscular tension in the neck and upper shoulders. This can create muscle trigger points that can refer pain into the head. Poor posture can also increase joint stress in the upper neck or base of skull that can also refer pain into the head. Of course taking medicine may help. But this is unlikely to change the situation, much less be a long term solution. Really what needs to happen is that you need to change what causes the stresses and positions that are creating the issue in the first place. Sitting with good posture makes our body more efficient. In a good posture position, we disperse our physical stresses more effectively and we don’t get points of built up stress. Meaning, we also don’t build up muscle tension, trigger points and joint stress. So rather than taking that pill, you might be better served by adjusting the ergonomics of your workstation, setting a timer to remind you to adjust your posture, take work breaks, and to exercise regularly. Another good starting point would be to keep a log of your headaches, noting when they tend to occur, what time of day, and during what activities. You are looking for your headache “triggers.” those things that are responsible for your headaches. These can be as varied as reactions to food, odors or noises. It could also be stress and posture as mentioned above. The more you understand your triggers, the better you will be able to control your headaches. A physical therapist (PT) may be able to help with headaches in a number of ways. First, a PT may be able to help alleviate ongoing pain with massage, joint mobilization, stretching and other manual therapies. A PT will also be able to help you identify and correct poor postural habits, improve the ergonomics of your workstation and also help to identify other potential headache triggers. Finally, a PT can prescribe an exercise program to help improve strength, flexibility and endurance as a stronger body is better able to absorb the stresses that may lead to a headache. If you are struggling with chronic headaches, consider talking to one of our physical therapists. The benefits may include less pain, less reliance on medication and improved ability to concentrate at work and do the things you want to do. Written by Tim Appleford, PT, MSPT, OCS ATC, Clinical Manager at Bay Area Physical Therapy and Physical Therapist at Lafayette Physical Therapy, Inc.